White frosted glass with rich bronze finish for a crisp clean new look. Scroll accents with oval wall plate and matching hardware. Easy to install fixture. Frame is made of lightweight and durable resin. Use with (1) Medium, Type A, E-26 - E-27 bulb(s) - 60 watt max. Bulbs sold separately. 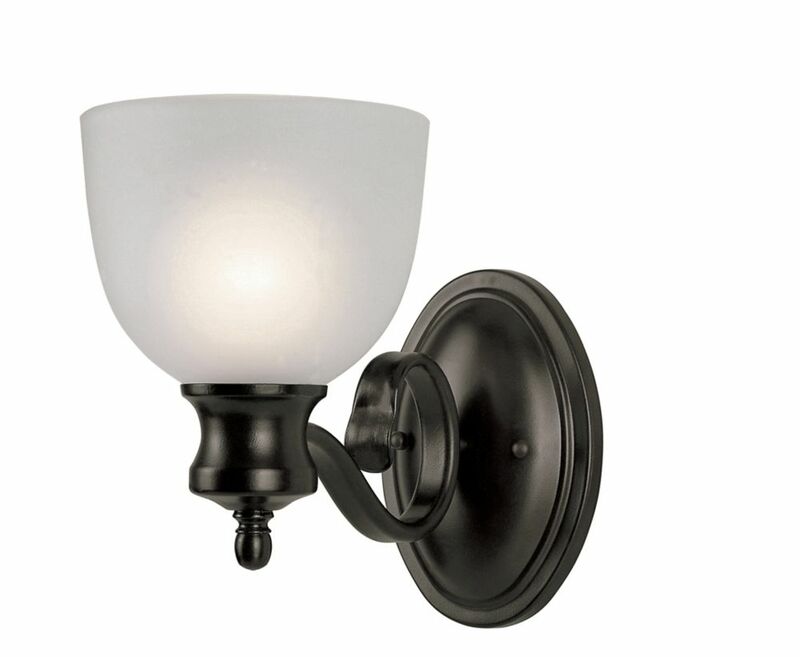 Bronzed Candlestick and Frosted Glass Sconce White frosted glass with rich bronze finish for a crisp clean new look. Scroll accents with oval wall plate and matching hardware. Easy to install fixture. Frame is made of lightweight and durable resin.